The run I look forward to the most is the LSD (Long Slow Distance) Sunday runs. They are run at a much slower pace than the week and is intended to build your endurance. Speed is not the point on Sundays but the length of time you spend moving. The other great thing about Running Room is their implementation of the 10:1 pace. Run 10 minutes, walk 1 minute. At first it may seem a little silly or inefficient but it builds this mental strength in you to maintain your run. Knowing that a break is only less than 10 minutes away keeps you going, and it helps alot especially during those longer 15+km runs. We will be doing runs up to 32km by May making the 10:1 even more important. Ryan got me this watch a few years ago when I started my first clinic and it’s been my best friend for running. There are so many things I haven’t discovered or utilized yet on this watch but the key functions I love most are the ‘virtual partner’ which is a little stick man running on my watch at a particular pace. I can check up on my virtual partner to see if I’m beating him or behind. It keeps me in the know on how my pace is doing. The other great thing is the GPS. It tells me exactly what my minute/km pace is and matches it against 2 other variables of my choosing. The other night I decided to run based on heart rate. 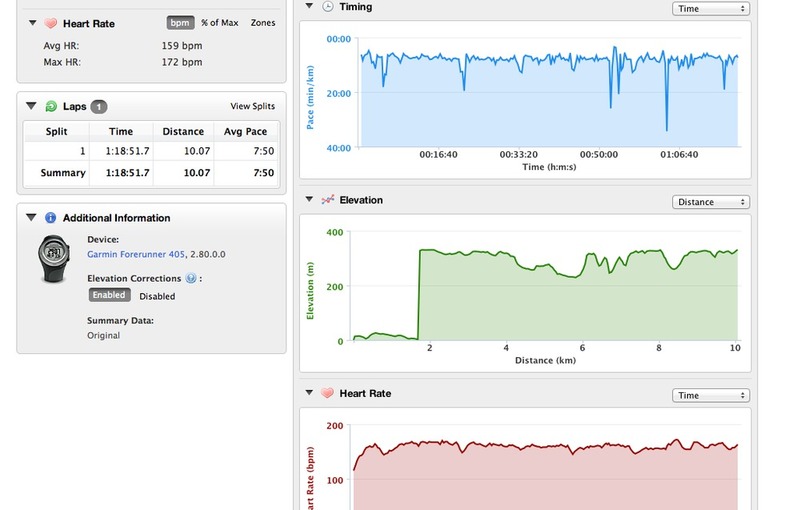 I kept my heart rate up at %80 and discovered, to my delight, that I was running faster than I thought I was capable of. Sometimes we are too cautious in our pace and don’t realize the potential of our run for whatever reason. 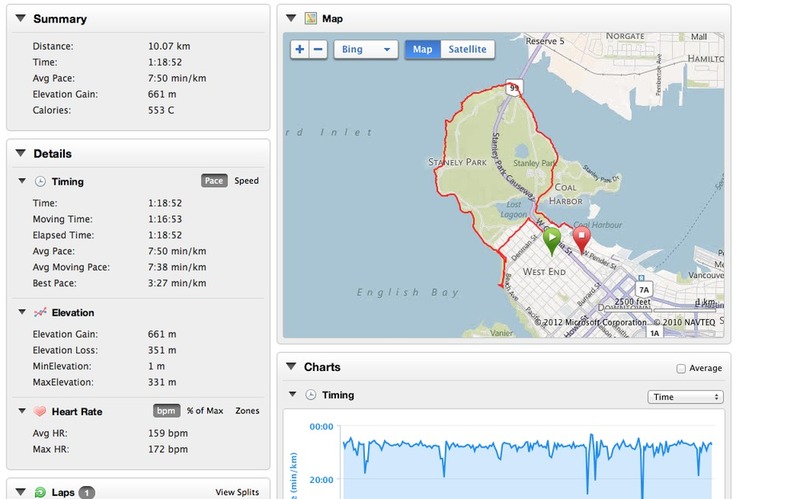 Running based on heart rate % or zone helps.